We are pleased to let you know that in 2019 SME will be consolidating all of its peer-reviewed technical papers into one all-SME journal called Mining, Metallurgy & Exploration (MME). MME will be the new name of Minerals & Metallurgical Processing (M&MP) as of Vol. 36, No. 1 (2019), and SME Transactions and the “Technical Papers” section of Mining Engineering will be merged into MME, to form a journal that covers the breadth of SME's fields of interest. MME will be published in partnership with Springer Nature and will be freely accessible online by SME members through Springer Link. In addition, through the extensive Springer network, MME papers can reach up to 7,000 libraries and institutions and 20 million desktops worldwide. Importantly, MME will retain the Journal Impact Factor from M&MP and will continue to be included in the Journal Citation Reports, as well as abstracted and indexed in Science Citation Index Expanded, Current Contents-Engineering, Computing & Technology, Scopus, EBSCO and Proquest. All papers published in MME will also have their abstracts published in Mining Engineering magazine. MME will have an increased frequency of six issues a year, and it will have no restrictions on number of article pages, figures or tables. Paper submission has been transferred from Scholar One to Springer's Editorial Manager. To submit a paper, please go to https://www.editorialmanager.com/mmex/Default.aspx . To access the instructions for manuscript subscription, go to www.springer.com/engineering/journal/42461 and click on "Instructions for Authors" in the right-hand column. To sign up for a paid subscription to MME, please send an email after the middle of November 2018 to subscriptions@springernature.com stating that you would like a subscription to Mining, Metallurgy & Exploration (MMEX). For additional information, please visit our SME website: www.smenet.org/publications-resources/publications/mining,-metallurgy-exploration-(mme). Please do not hesitate to email Chee Theng at theng@smenet.org if you have any questions or need any help. SME Transactions is now available solely as an online subscription. 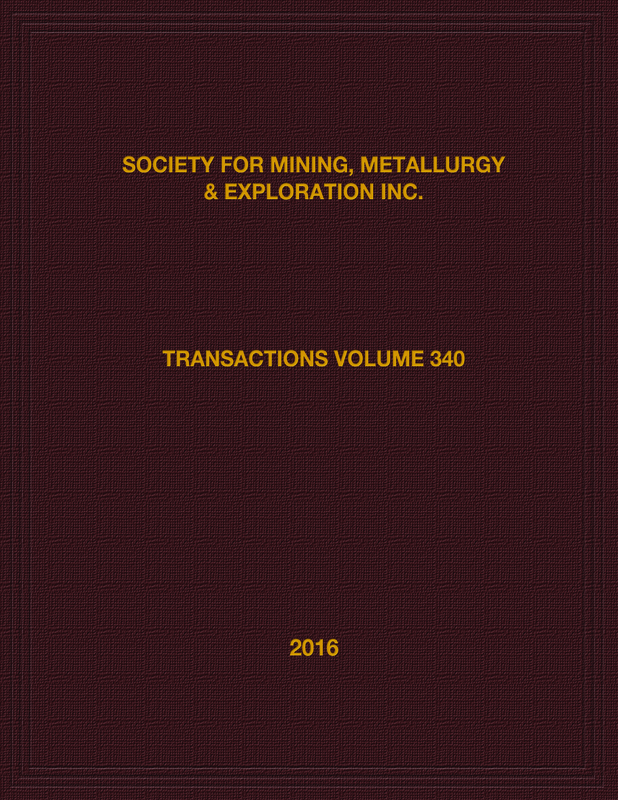 Each SME Transactions volume consists of three sections: 15 to 20 new papers on subjects ranging from mineralogy to mine safety, all of the peer-reviewed technical papers from Mining Engineering , and all of the peer-reviewed content of Minerals & Metallurgical Processing . SME Transactions remains the best single source for mine-related research from the National Institute for Occupational Safety and Health (NIOSH), and its easy-to-use index provides a shorthand overview of current critical topics in mining research. SME Transactions was published as a hardbound book until 2010. To purchase older volumes, contact the SME bookstore at books@smenet.org . Many older volumes are still in stock. will need to purchase the most recent year to view those volumes.